The first line contains an integer, , denoting the number of sets of points. 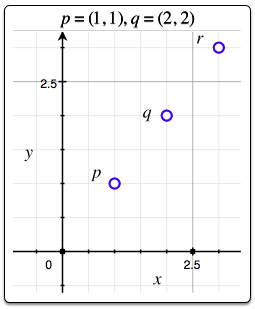 Each of the subsequent lines contains four space-separated integers describing the respective values of , , , and defining points and . 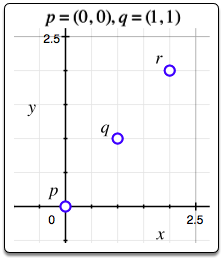 For each pair of points and , print the corresponding respective values of and as two space-separated integers on a new line. Thus, we print and as 2 2 on a new line. Thus, we print and as 3 3 on a new line.